Welcome to UsedTVs.co.uk, the home of buying used televisions on the web. We sell a wide range of used televisions at the very best prices available on the internet. Not only that, UsedTVs.co.uk takes great pride in being able to cater for all your used television needs. If you're reading this, you are obviously interested in buying a second hand television and the good news is that need not look any further. All the information, guidance and advice you could ever need about buying a used TV is right here. 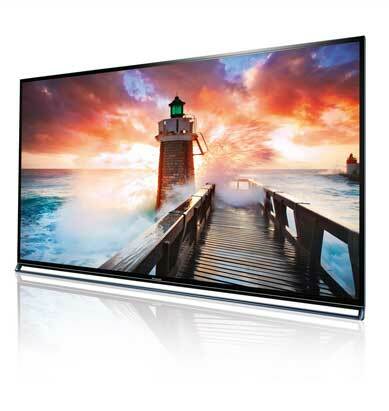 We have used televisions available for you to buy from all the leading manufacturers. From Bang & Olufsen and Bush to Sony and Toshiba, all the top brands will be found here for sale. What this means is that if you already have a particular brand in mind to buy then you are bound to find it here. If you're not so sure, you'll find a vast choice to look through before you hone in on the model that is absolutely right for you. There are handy guides available on the page links. Click on these to find specific information about each manufacturer. The guides will give you the lowdown on what you can expect from particular brands and models, so you can make a truly informed choice in your search for a second hand television that meets your needs. Of course, unless you already know exactly what make and model you are looking for, the prospect of buying a used television might appear to be pretty daunting. There is much to choose from. It's likely that you've got many questions: What screen size is best? What' the best screen resolution to choose? LCD or plasma? What's the difference between LED and OLED? And that's probably only scratching the surface! Don't worry, basically whatever questions you might have about buying a used television, we will give you the answers here on this site. So, whether you have a really specific question or whether you just want to find out more about your various options in buying a second hand TV, UsedTVs.co.uk has it all for you. Knowledge is power and we want you have all the knowledge you need to put you in the powerful position and to have the full confidence to be able to choose which used TV is right for you. Clever marketing and media conditioning has led many of us to believe that we have to buy the very latest, the newest or the upgrade all the time. Of course, we don't at all! Shake off that ‘second hand stigma' and you can bag yourself a high quality used TV for an absolute bargain. A used television that is perfectly matched to your needs. A used television that is perfectly matched to your budget. Have a good browse around the site to get your search for a used television started. We recommend that you begin by looking at our Buyer's Guide. Here you'll find out some great tips and tons of advice about the technology of televisions and what to look for to ensure that your search for a second hand television is a successful one.